Classic Auto Body is a proud Nissan Certified Collision Repair Center. 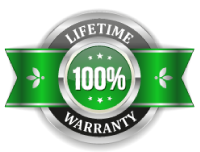 Backed by a 100% Guarantee Lifetime Warranty, we stand by the quality & safety of our repairs for the entire lifespan of your vehicle. Call Classic Auto Body at (973) 742-9039, or fill out our form to request your repair estimate. We Guarantee ALL repair and paint work will last as long as the life of your vehicle. Our Nissan trained technicians have all the capabilities, tools, and equipment, to ensure a full restoration of your vehicle’s safety and performance while maintaining resale value. Classic Auto Body specializes in retaining the pre-accident value, safety, performance, and appearance of your vehicle. We prioritize genuine Nissan OEM parts, factory trained technicians, and state-of-the-art equipment to ensure the highest quality repairs available. Restoring the safety, look, and quality of your vehicle is our priority. Prioritizing OEM parts, computerized color matching, and quality control sets us apart from standard collision repair. Our Computerized OEM Color Matching ensures your vehicle will look the same, while our trained technicians maintain your vehicle’s value and safety. Our cutting-edge color matching technology allows us to match any paint no matter the make or model. Using computerized OEM color matching, we can pinpoint any hue, shade, and tone to match the exact look of your vehicle. Specializing in Eco-Friendly painting, we guarantee your vehicle color will be matched exactly. Utilizing eco-friendly practices including waterless carwash, non-harmful paints, and more, we get work done right while standing up for the environment. Get ready for the hot seasons with a thorough AC inspection. Capable of diagnosing complex air-conditioning units, Classic Auto Body can get your system back to full strength so you and your passengers are comfortable all year long. Vehicles can benefit tremendously from critical tune-eps and routine maintenance. We inspect key engine components and follow manufacturer maintenance schedules to ensure your vehicle is running efficiently. Tune-ups help vehicles function more reliable and cost-effectively, promoting longer vehicle lifespans. Classic Auto Body has proudly served Paterson, NJ and its surrounding communities since 1994. Established on the business principles of customer satisfaction and transparent service, we pride ourselves in our ability to maintain some of the highest standards in the collision repair industry. From I-80, take exit 58 north onto Madison Ave towards Paterson. Turn left onto 21st Ave, then left again at the second cross street onto Lewis St. Lewis St turns right and becomes Beckwith Ave. Classic Auto Body is on your right. Protect the value and investment you made in your Nissan. Bring it to certified professionals for repair.